Vietnam opened up to foreign property investors as late as 2015 and has experienced a fast growth since. Buyers from Hong Kong, Mainland China, Singapore, and Korea in particular, see Vietnam as a lucrative market with high ROIs. Still, if you plan to buy property in Vietnam, it’s important that you understand the economic climate and what you can expect from the market in 2019. In this article, I explain how the market has performed in previous years and what my predictions are for Vietnam’s property market this year. How has Vietnam’s real estate market performed the past years? How will Vietnam’s real estate market perform in 2019? What will drive the real estate market in 2019 and beyond? Vietnam is a quickly emerging economy that’s been growing with over 6% annually since 2000. At the same time, the GDP per capita has increased sixfold, from USD 388 in 2000 to USD 2,350 in 2017. This quick surge in individual wealth has made property affordable for many Vietnamese people, contributing to an increase of new developments and a boost in property prices. According to a recent World Bank Report, 70% of Vietnam’s population is considered economically secure. This is a rise of 20% since 2011. According to the same report, around 1.5 million Vietnamese people join the global middle-class every year. This quick rise in a country with 95 million people will inevitably increase the demand for real estate. These laws made it easier to manage real estate transactions, but also made it significantly easier to buy property as a foreigner. The new laws now give 4 million overseas Vietnamese the opportunity to buy an unlimited number of properties. As mentioned, Vietnam’s economy is one of the fastest growing in the world, which has naturally affected the real estate market in a positive way. 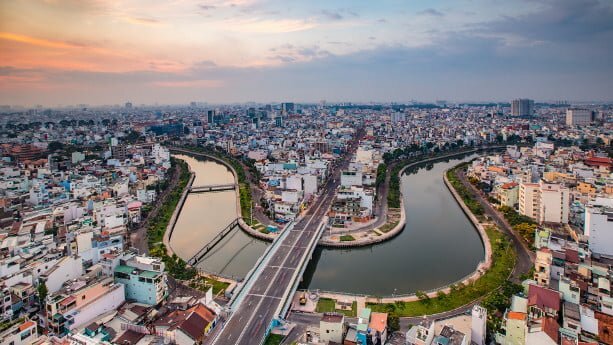 Bigger cities and coastal cities like Ho Chi Minh City, Da Nang, and Hanoi have undoubtedly benefited the most of these changes and the fast development, and will continue to do so for years to come. The market shows no signs of slowing down and will most likely keep growing in 2019. Real estate prices have increased much the past years for sure. When it comes to Ho Chi Minh City, apartment prices have increased massively. Still, the average property price is lower compared to places like Bangkok, Manila, Kuala Lumpur, Singapore, and Hong Kong. The average price per square meter in Ho Chi Minh City is 18% of that in Singapore, and only 14% of the average price per square meter in Hong Kong. Hence, Vietnam will continue to be a lucrative destination for overseas investors. For luxury real estate in Ho Chi Minh City, prices are only 8% of that in Hong Kong on average. Well-known real estates companies like JLL, Savills, and Knight Frank predict an average annual price increase of 8-10% for residential property in the coming years. What will drive Vietnam’s real estate market in 2019 and beyond? So, we know that Vietnam becomes increasingly interesting in terms of buying real estate. The real estate market opened up as late as 2015 to foreign investors, the manufacturing industry also thrives, as labor costs become more expensive in China. Below you can find a number of other reasons why Vietnam’s real estate market will hopefully continue to grow over the years. In the second half of 2017, Vietnam recorded the highest GDP growth rate in a decade. Analysts predict a higher growth rate in 2019. The current unemployment rate is the lowest in a decade as well, averaging at around 2%. Not to neglect, 1.5 to 2 million Vietnamese people join the global middle-class every year, and according to The Boston Consulting Group, Vietnam will double its middle- and affluent class by 2020. This contributes to a stronger demand of real estate, as proved by the increase of home loans in 2017 and 2018. A recent report by RNCOS points out a deficiency of housing in Vietnam with 70% of the population not living in their own homes. The report claims that Vietnam needs 20 million housing units to meet the demand. There’s currently a high demand for affordable houses and the demand is outpacing the supply in the low-end market. The high-end market, on the other hand, has a slightly higher supply-to-demand, as most developers focus on high-end projects only. With declining mortgage lending rates, more Vietnamese apply for home loans. The number of home loans increased by more than 50% in 2017, which is not a modest number. Vietnam attracts more foreigners, especially from Hong Kong, Mainland China, Taiwan, and Singapore. It’s not strange as the average house prices in Vietnam are significantly lower compared to prices in Hong Kong, Singapore, and major cities in China. For example, a luxury apartment in a prime location in HCMC costs around USD 5,000 per square meter, while the same apartment can cost four times more in Singapore and Hong Kong. As foreigners can easily buy property with a renewable leasehold period of 50 years, there’s been a sharp rise of overseas investors. According to CBRE Vietnam, there was a 21% increase of buyers from mainland China, Hong Kong, and Taiwan in 2017 compared to 2016. For the first quarter of 2018, there was a 300% increase in the demand from Chinese buyers compared to the first quarter of 2017. You’ll also notice a sharp increase of expats. There are currently 7-8 times more expats compared to 2008, where most come from China (31%), followed by South Korea, Taiwan, and Japan. The tourism industry thrives in Vietnam, but is not as developed and mature compared to Thailand, for example. Vietnam is set to compete with countries like the Philippines and Thailand, and still have plenty of room for growth. Coastal cities are the primary destinations as Vietnam has a shoreline spanning almost 3260 kilometers. In the past years, Vietnam’s government has invested much money in infrastructure, especially in coastal cities like Ho Tram, Quang Nam, Phu Quoc, and Danang. Improved infrastructure and a rapid increase of tourists and retirees have made these places more lucrative for investments in second homes and vacation homes. Where should I buy property in Vietnam? Almost all major cities have seen steady price increases the past years. Ho Chi Minh City is one of the best performers, but coastal cities like Da Nang and Nha Trang quickly turn into popular destinations. Hanoi can also be a good investment option as the supply is expected to decline. Vietnam’s residential property market will continue to be strong in 2019 most likely. The increased amount of domestic buyers is the main driver. Vietnam has a population of 95 million where 50% are aged below 30, and with a rapidly growing middle class. The country also faces a deficit of housing unit, creating a bigger demand for low-end as well as high-end residential units. The relaxed regulations towards foreigners, along with comparatively low property prices, make Vietnam a preferred location among foreign buyers. Especially from Hong Kong, Mainland China, Korea, and Singapore. As more international developers enter the market, we’ll see an increased supply, along with an increased demand. 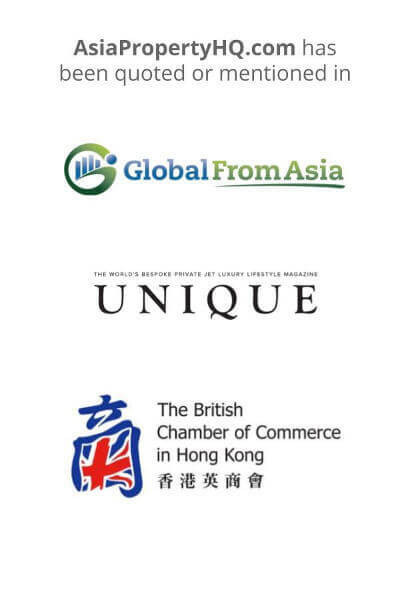 The record-breaking increase of foreign tourists, as well as an increase in FDI and new office space, will fuel the increase of commercial property. With that said, Vietnam is undoubtedly one of the most interesting places to buy real estate in Asia at the moment.